India vs Australia 2019: The Men in Blue will start outright favourites when they host Australia in their backyard for a limited overs series. India vs Australia 2019: The Men in Blue will start outright favourites when they host Australia in their backyard for a limited overs series. It will not only be an opportunity for both sides to get their squads settled for the World Cup but also an opportunity to try out new combinations ahead of the marquee event. For India, Virat Kohli and Jasprit Bumrah were rested for the New Zealand series and would be in line to make a come back. Rohit Sharma who has been playing non-stop cricket could get a breather. It is also possible that KL Rahul and Ajinkya Rahane get a go, ahead of the World Cup. Virat Kohli: The regular India captain was not a part of the majority of the limited-overs tour to New Zealand. With him not around, the performance dipped which highlighted the importance of Kohli in the mix. He is currently the No 1 batsman in the world and a lot would be expected of him when India take on Australia. 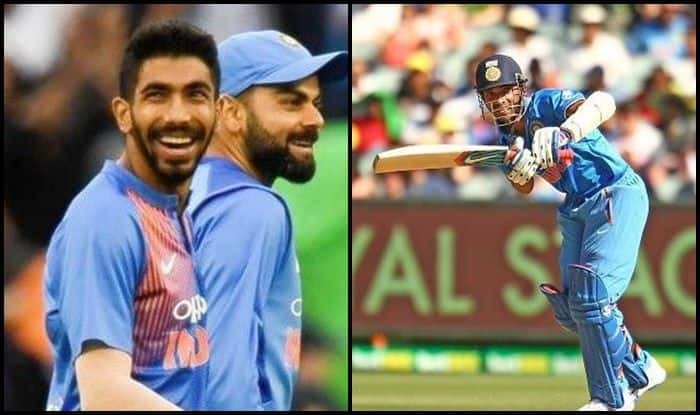 Jasprit Bumrah: After a grueling Australian summer, Bumrah was rested as he is being looked at as a trump card for India at the World Cup. Bumrah was in red-hot form when he was rested. He is in good form and to see him bowl against the Australians would be a treat for his fans. Ajinkya Rahane: Chief selector MSK Prasad indicated that Ajinkya Rahane is in contention for a World Cup squad. If that is the case, he could get an opportunity to prove his worth in the upcoming series. He would be hungry for certain and that would make him dangerous. Rishabh Pant: Prasad has also indicated that despite former skipper MS Dhoni still there in the side, Pant could also get in the World Cup squad. Pant has impressed lately with his daredevil style of batting. Pant could play as a pure batsman and considering he has an ominous record on Indian grounds, he would surely be someone to watch out for. Pat Cummins: Fast bowler Pat Cummins impressed with the ball and the bat during the Australian summer. He was the only silver lining for Australia in the series and that makes it interesting for fans to see if he can replicate that show when he tours India and bowls in batting friendly conditions. Meanwhile, Australia will lock horns with familiar rivals in a two-match T20I series followed by a five-match ODI series. While the T20Is will be played from 7 pm local time, all the ODIs will start from 1:30 pm local time.